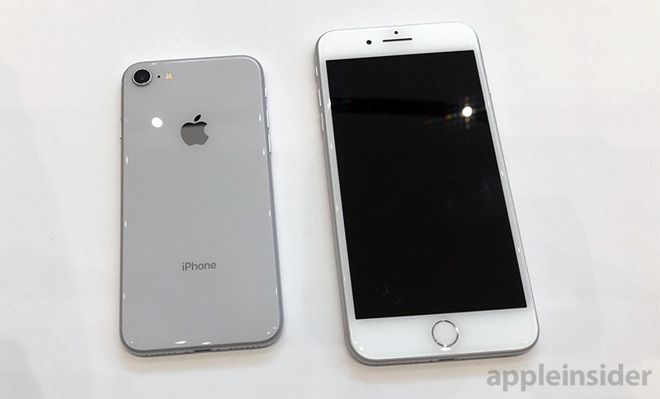 Apple's plans were revealed Tuesday by Jim Dalrymple of The Loop in this iPhone 8 and iPhone 8 Plus review. Without getting into specifics, Dalrymple said that the iPhone 8 units will see a slight increase in wireless charging capacity later this year. According to him, the iPhone 8 currently charges at a rate equal to the 5-watt wall adapter in the box. Apple-recommended third-party charging pads from Belkin and Mophie available at launch work at a higher 7.5-watt rate. It's unclear whether Apple will bump up from 5 watts to 7.5 watts, or potentially more. Wireless inductive charging in the iPhone 8, iPhone 8 Plus and iPhone X is based on the Wireless Power Consortium's Qi standard, which supports 15-watt "fast" charging with its 1.2.x specification. Rumors have suggested Apple's iPhone 8, iPhone 8 Plus and iPhone X will top off with 7.5-watt charging. But with the news that a firmware update can and will boost charging speeds later this year, it's unknown whether Qi 1.2.x 15-watt charging is a possibility. 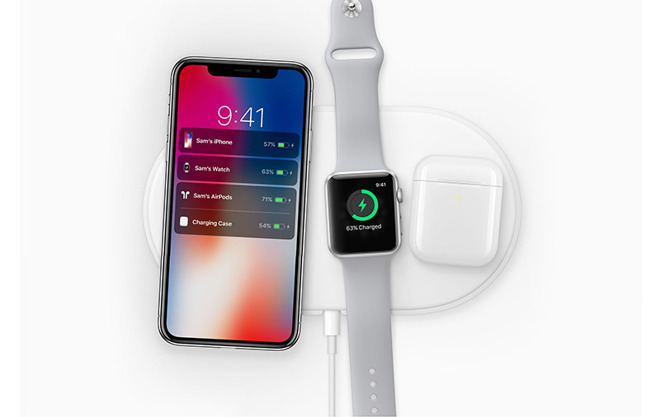 Apple won't offer its own wireless charging pad at launch, but plans to enter the fray next year with AirPower, a proprietary modification of Qi that will support Apple Watch Series 3 and new AirPods case charging. Pricing and launch date for AirPower remain unknown, though AppleInsider's sources have indicated the product is likely to launch in the first quarter of 2018.